Little Dani is sad. Her best friend Ella has moved to another town and she misses her so very much. The other girls in her class just can't compare and when one of the cute boys shows Dani some attention, two of them become rather nasty indeed. One particular day in the canteen, they gang up on Dani and start pinching her. Overwhelmed, Dani squirts them with a sauce and accidentally gets the teacher! Mortified, she runs all the way home to hide. Luckily, Dad finds Dani, but he also finds her bruises--and he very quickly marches down to the school to deal with the bullies. This is a simple storyline about a little girl who spends time reminiscing about her bestie, Ella, with truly heartfelt results. What I like most about the narrative simplicity is that it really is Everyday Life. 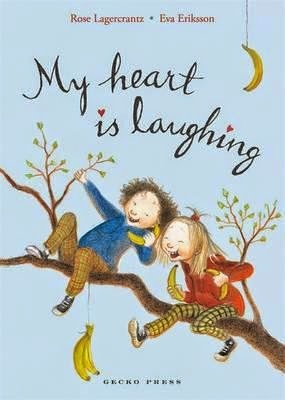 It's a story that will therefore resonate beautifully with all children, who understand the power and depth of childhood friendships, and the joy to be found in people who are loving, caring and a whole lot of fun. Gorgeous line illustrations complement the storyline, making it an ideal transition read for those new to junior fiction. It would also appeal to older kids struggling to read, as although the format is 'younger', the themes and content is satisfyingly sophisticated, and the author voice is a delight to read.